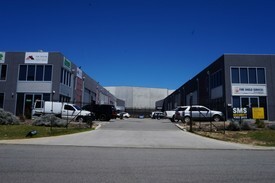 Buzzy Workspace | Professional Space | Spectacular Views $347pw | 5 Person Workspa..
PROPERTY OVERVIEW $347pw Price incl. Luxury serviced office in recognised Perth location. Price Incl. Internet, Telephone, Electricity & Receptionist services "A" grade building Prestigious Brookfield Place address Use of kitchen facilities 24/7 access Great Perth CBD location AVAIL NOW short and long term Featuring uninterrupted Swan River views, Brookfield Place is one of Perth's most prestigious buildings and one of Australia's most significant commercial developments. It is also the first major skyscraper to grace the City of Perth's skyline in over 20 years. Key features of this state of the art facility include high speed lifts and the fastest internet speeds in the city, and tenants can enjoy numerous plush and funky restaurants and bars nearby. The advertised office space is perfect for a team of 5. If you need more or less space, we have over 30,000 furnished workspaces all over the world suitable for a team of 1 to 200+. Our award winning team offer a free service that will help you find the perfect solution for your needs, so reach out if you need more help. What you get for your weekly rent Furnished office with desks, chairs and lock up storage units Commercial grade internet service Telephone line and personalised phone answering Use of kitchen facilities with premium coffee/tea service Electricity usage included Complimentary receptionist to meet and greet your clients Prestigious business address Flexible terms from 1 month to long term Ability to bring your existing phone number over Business lounge with complimentary break out areas 24 x 7 Access to your office 24 x 7 security Office features Immaculate fit out and facilities Full mail management and postage Large boardroom and meeting rooms Signage board in foyer to highlight your business name Professional environment Server / Comms rooms available for server storage Building features Modern high rise classified as an "A" grade building 24 x 7 access to your office High speed lifts Car parking in building and surrounding areas Dedicated on site management team The advertised price includes building outgoings and is based on one person occupying the workspace. If you have 2 or more people extra fees will apply to cover off services like telephone, internet and kitchen amenities. 90m to St Georges Terrace Bus Stops 462m to William St Train Station 50m to Gym, Pub and Shopping Centre 10m to Central Park 635m to Elizabeth Quay WHO IS OFFICE HUB? Office Hub is Australia & New Zealands No 1 small office space commercial real estate agency. We have the largest collection of shared spaces, coworking and serviced offices in Australia & New Zealand, perfect for 1 200 employees. Let us take you on a tour of all the spaces that fit your needs and budget. Our service is complimentary and we work for you and the landlord to negotiate the most competitive deal in the market. Let us show you how shared and serviced offices can be the perfect solution for your business. www.office hub.com.au www.office hub.co.nz Conditions apply A portion of the square meterage factors in access to shared space. Price includes any incentives offered. This is for new tenants only. Modern Utilities | Convenient Location | Fully Furnished $92pw | 1 Person Workspac..
PROPERTY OVERVIEW $92pw Price incl. Beautifully presented modern office space close to Perth CBD without the city price. There is a full range of business facilities to suit all budgets and needs at this shared office, ranging from generous individual workstations to large lockable private offices. Secure, beautifully presented and easily accessible, this is a classy close to the city office solution for any small business. 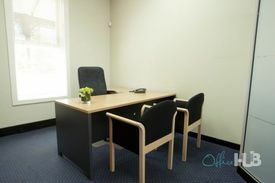 The office is accessible 24/7 with printers and high speed internet inclusive while the East Perth location gives a reputable business address for less. 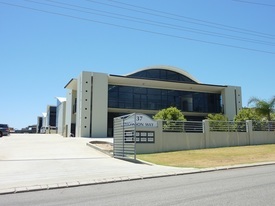 Available on flexible terms, this Perth office space can be hired on a short term basis or secured for a longer term. Affordable, well maintained and close to the city, you’ll find a better way of doing business at this quality workspace. Book a tour to view and make this rare offering yours. This workspace is part of the Northwood Apartment Complex, an immaculately presented mixed use complex just steps from East Perth Train Station. The modern building impresses with an elegant exterior, abundant natural light and hilltop position, while end of trip facilities and free onsite car parking options maximise convenience. The perfect place for up and coming businesses, this workspace is an easy walk from East Perth Train Station, the free Perth Transit Zone and Perth CBD. The fringe location offers plenty of perks in itself with great proximity to the Mount Lawley cafe strip, Northbridge’s vibrant nightlife and the NIB Stadium as well as easy access to Perth’s major freeways. The advertised office space is perfect for a team of 1. If you need more or less space, we have over 30,000 furnished workspaces all over the world suitable for a team of 1 to 200+. Our award winning team offer a free service that will help you find the perfect solution for your needs, so reach out if you need more help. What you get for your weekly rent , 24/7 Access , Access to internal breakout areas , Access to kitchen facilities , Access to secure printer and scanner , Building outgoings included , Electricity usage included , One simple bill for everything related to your workspace , Plug and play furnished workspace , Secure high speed Internet Building features , Air conditioning , Bicycle storage , Boutique low rise buidling , Car parking in building (Paid) , End of trip facilities e.g showers, bike racks , Print, scan and copy facilities , Professional working environment , Quick access to major airports 600m to East Perth Train Station 130m to NIB Stadium 200m to Perth Free Transit Zone 1.1km to Northbridge 1.7km to Perth CBD Who is Office Hub? Office Hub is the world\'s No.1 marketplace for office space. We have a huge global selection of coworking spaces, serviced offices and shared office spaces with flexible options to suit teams from 1 200 people. We\'ll take you on a tour of all the workspaces that fit your needs and work on your behalf to get the best price possible. We\'ll help you discover how shared office space can be the most beneficial and budget friendly solution for your business. 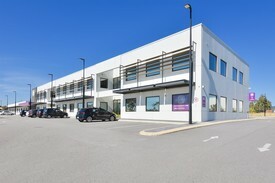 www.office hub.com Conditions apply – the advertised price includes any incentives offered based on a 12 month agreement and is available to new tenants only. Please note that the rental rate may increase for a shorter rental period. A portion of the square meterage factors in access to shared space. Excellent Amenities | Cutting Edge Office Space | Spectacular Views $150pw | 1 Person Workspa..
PROPERTY OVERVIEW $150pw Price incl. Brand new serviced office on St Georges Terrace with amazing views and world class office solutions for 1 7 people. 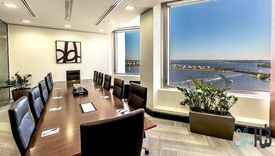 Due to open at the end of August, this business centre has a range of private suites for rent including window offices with fantastic views over the Swan River, Elizabeth Quay and the Stirling Gardens. The centre is managed by an onsite support team renowned for extra attentive customer service and meeting rooms are ready for your next presentation, AGM, interview or training session – you can even pass event organisation, catering and visitor registration to the flawlessly professional team. Personalised call handling and corporate grade internet are both included in this rental rate while full colour printing and video conferencing facilities are available on top services. This business centre would suit a wide range of Perth businesses including established, small and satellite teams – anyone who values excellent customer care and wants a relaxed but private and professional place to work. Flexible memberships available starting from the end of August. This centre sits on the 13th level of this superbly located Perth CBD building enjoying stunning views and a high profile position on the corner of St Georges Terrace and Barrack Street. Recently refurbished, it is modern and functional throughout with 24/7 secured access, air conditioning, ground floor concierge and great end of trip facilities including showers and bike racks. This part of Perth CBD is home to the city’s major finance, legal and professional firms and is considered the heart of Perth’s commercial district. A wide range of transport connections are nearby including Perth Train Station, Perth Underground, Elizabeth Quay Train Station and buses along St Georges Terrace. The advertised office space is perfect for a team of 1. If you need more or less space, we have over 30,000 furnished workspaces all over the world suitable for a team of 1 to 200+. Our award winning team offer a free service that will help you find the perfect solution for your needs, so reach out if you need more help. What you get for your weekly rent , 24/7 Access , 24/7 Security , Access to internal breakout areas , Access to kitchen facilities , Access to secure printer and scanner , Building outgoings included , Electricity usage included , Fully equipped boardrooms, meeting rooms and day offices (fees may apply) , Regular cleaning , Secure high speed Internet , Your own receptionist and waiting area for your clients Building features , Abundance of natural light , Air conditioning , Car parking in building (Paid) , Company branding in foyer , Concierge on ground floor , Contemporary fit out , Direct access to public transport , Disabled access and facilities , End of trip facilities e.g showers, bike racks , Modern High Rise with fast lift access , Retail and shopping malls nearby , Sustainable green building 500m to Elizabeth Quay Train Station 260m to Woolworths 120m to the iconic Lalla Rookh bar and restaurant Excellent access to Public Transport Incredible uninterrupted views of the Swan River and Supreme Court Gardens WHO IS OFFICE HUB? Office Hub has largest collection of shared office space, sublet office space, creative coworking office space and serviced offices, perfect for 1 200 employees. Let us take you on a tour of all the spaces that fit your needs and budget. Our service is complimentary and we work for you and the landlord to negotiate the most competitive deal in the market. Let us show you how shared and serviced offices can be the perfect solution for your business. www.office hub.com.au www.office hub.co.nz Conditions apply A portion of the square meterage factors in access to shared space. The advertised price includes any incentives offered based on a 12 month agreement. If a shorter period is agreed to please note the price may increase accordingly. This promotional offer for new tenants only and may be withdrawn at any time due to space availability. $150pw | 1 Person Workspa.. Convenient Location | Great Amenities | Ideal Workspace $184pw | 2 Person Workspa..
PROPERTY OVERVIEW $184pw Price incl. Beautifully presented modern office space close to Perth CBD without the city price. There is a full range of business facilities to suit all budgets and needs at this shared office, ranging from generous individual workstations to large lockable private offices. Secure, beautifully presented and easily accessible, this is a classy close to the city office solution for any small business. 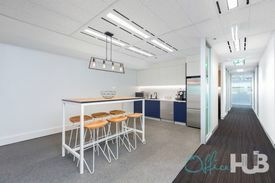 The office is accessible 24/7 with printers and high speed internet inclusive while the East Perth location gives a reputable business address for less. 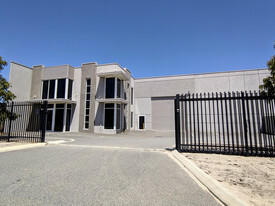 Available on flexible terms, this Perth office space can be hired on a short term basis or secured for a longer term. Affordable, well maintained and close to the city, you’ll find a better way of doing business at this quality workspace. Book a tour to view and make this rare offering yours. This workspace is part of the Northwood Apartment Complex, an immaculately presented mixed use complex just steps from East Perth Train Station. The modern building impresses with an elegant exterior, abundant natural light and hilltop position, while end of trip facilities and free onsite car parking options maximise convenience. 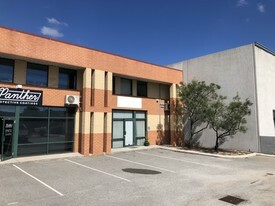 The perfect place for up and coming businesses, this workspace is an easy walk from East Perth Train Station, the free Perth Transit Zone and Perth CBD. The fringe location offers plenty of perks in itself with great proximity to the Mount Lawley cafe strip, Northbridge’s vibrant nightlife and the NIB Stadium as well as easy access to Perth’s major freeways. The advertised office space is perfect for a team of 2. If you need more or less space, we have over 30,000 furnished workspaces all over the world suitable for a team of 1 to 200+. Our award winning team offer a free service that will help you find the perfect solution for your needs, so reach out if you need more help. What you get for your weekly rent , 24/7 Access , Access to internal breakout areas , Access to kitchen facilities , Access to secure printer and scanner , Building outgoings included , Electricity usage included , One simple bill for everything related to your workspace , Plug and play furnished workspace , Secure high speed Internet Building features , Air conditioning , Bicycle storage , Boutique low rise buidling , Car parking in building (Paid) , End of trip facilities e.g showers, bike racks , Print, scan and copy facilities , Professional working environment , Quick access to major airports 600m to East Perth Train Station 130m to NIB Stadium 200m to Perth Free Transit Zone 1.1km to Northbridge 1.7km to Perth CBD Who is Office Hub? Office Hub is the world\'s No.1 marketplace for office space. We have a huge global selection of coworking spaces, serviced offices and shared office spaces with flexible options to suit teams from 1 200 people. We\'ll take you on a tour of all the workspaces that fit your needs and work on your behalf to get the best price possible. We\'ll help you discover how shared office space can be the most beneficial and budget friendly solution for your business. www.office hub.com Conditions apply – the advertised price includes any incentives offered based on a 12 month agreement and is available to new tenants only. Please note that the rental rate may increase for a shorter rental period. A portion of the square meterage factors in access to shared space.